WHCC softball celebrated Coach Staci Mosher's 22nd Season last week with special shirts and a gathering! Hello West Hills! 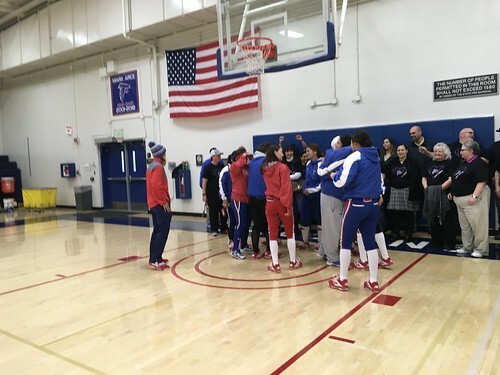 On Thursday, January 31st, our Softball team was supposed to have a game against Cuesta College, but unfortunately it got rained out. Although the game was canceled they still celebrated their coach's, Coach Mosher, 22nd season of coaching softball for WHCC. Everyone hugged and thanked her for all the amazing years she’s put in toward making some awesome players. Don’t miss the girl's next game, February 16, at the girl's softball field starting at 12pm.